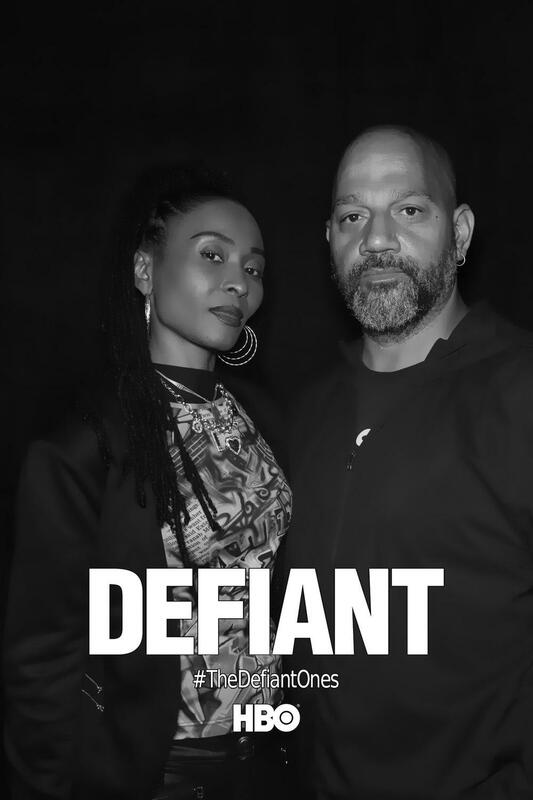 MVS Studio had the pleasure of joining HBO at a screening of their upcoming documentary series The Defiant Ones at The Cinefamily theater in Hollywood! To promote the new mini-series, we used our fobo Photo Booth to create a photo op mimicking the aesthetic of the show’s publicity posters. Capturing the cinematic feel of the posters only took a small adjustment to our standard photo booth set up! We flipped the orientation for a portrait layout, shot towards a black background, and added digital branding to imitate the style of the poster. We loved this super simple solution that created such a dramatic effect! Guests had a blast and even Dee Barnes and series director Allen Hughes got in the booth!